Francesco Morelli 1941 - 12017: President and founder of the Istituto Europeo di Design, the prestigious international advanced educational school that has become a breeding ground for the automobile designers of today, has passed away. 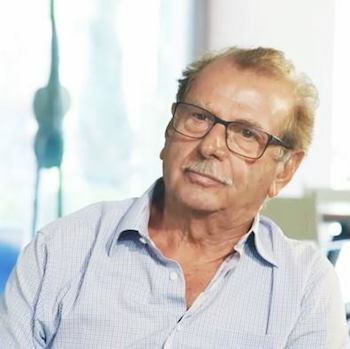 Francesco Morelli, President and founder of the Istituto Europeo di Design, the prestigious international advanced educational school that has become a breeding ground for the automobile designers of today, has passed away at the age of 76. IED was founded in Milan in 1966 based on his unique vision and with the distinctive purpose of supporting the young generations, their learning and education through an innovative and international perspective. “I would like to pass on an IED that places at the heart of its reflections the students. The students who are the true driving force of our work. Young talents to support while they navigate within a galaxy of opportunities, not only within their local communities but in the whole world”. Those were the words of Morelli during the 50th Anniversary of the Istituto Europeo di Design last month (26 October 2017). The IED offers thorough, effective training, based on the theory and practice of design culture, to young people who want to embark on creative careers in Fashion, Design, Visual Arts and Communications. IED is now the only international design training network. It offers three-year post-secondary school courses, advanced courses and Masters. Milan, Rome, Turin, Venice, Madrid, Barcelona and São Paulo house the four Schools of Design: IED Fashion Lab, IED Design, IED Visual Arts and IED Communications. Although all the schools and all the campuses apply the same training method and have the same underlying objectives, each one has its own strong, autonomous personality, deriving from roots that delve deep into its host city’s hinterland, production fabric and culture. Altogether, some 9,000 students from more than 90 different countries enroll in courses at IED every year. The school where they study is an international one, where the quality of the lecturers and the strong bonds with the business community that have always been at the focus of the IED training method enable creativity to blend with design culture. Over the years many thousands of students and Alumni have journeyed through, and characterised, the eleven campuses of the Istituto Europeo di Design. A global community of young talents, creatives, educators, and practitioners originated by the extraordinary breadth of view and approach of a single person. This is the Istituto Europeo di Design that Francesco Morelli leaves to the future generations.